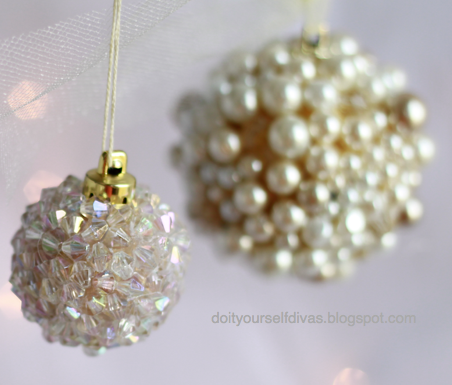 Remember my DIY pearl ornament from last year? Well this year I wanted to add even more shimmer to my tree, the DIY way. Here is what I came up with. 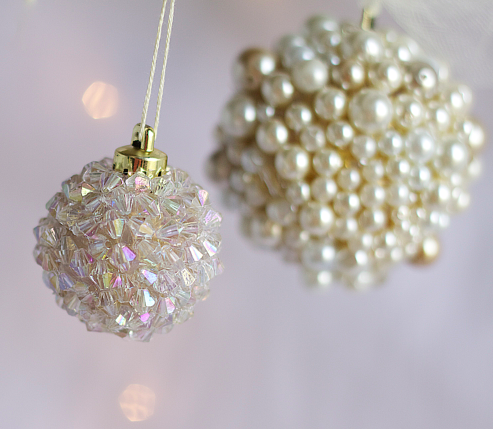 Gorgeous ornaments on the cheap are my favorite! 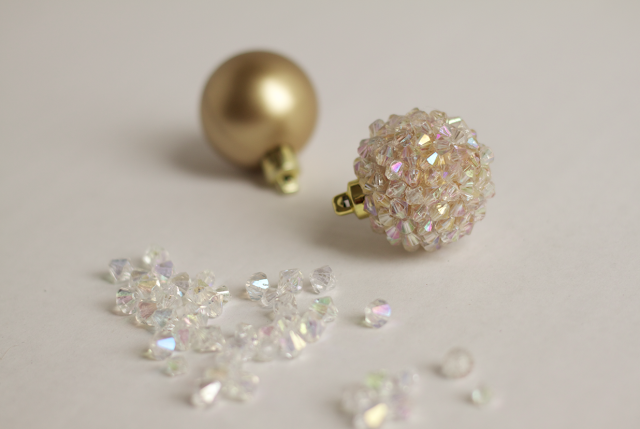 You can use just about any jewel that you can find. 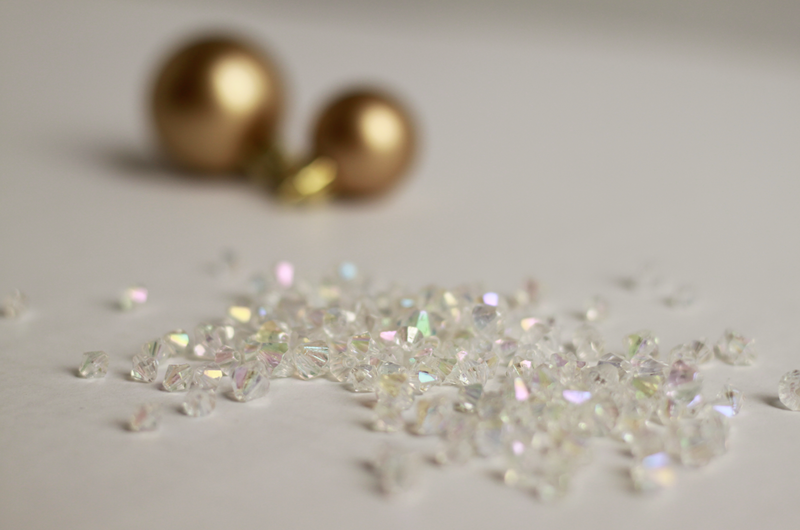 I of coarse, chose the cheapest little crystals that I could for this project. I found a HUGE bag of them at Walmart in the craft section. 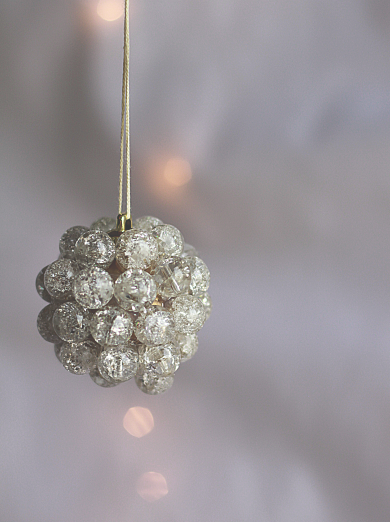 ...and hot glue those pretty little things to the bulb 'till it sparkles. Just one I made with some bigger beads that I found. 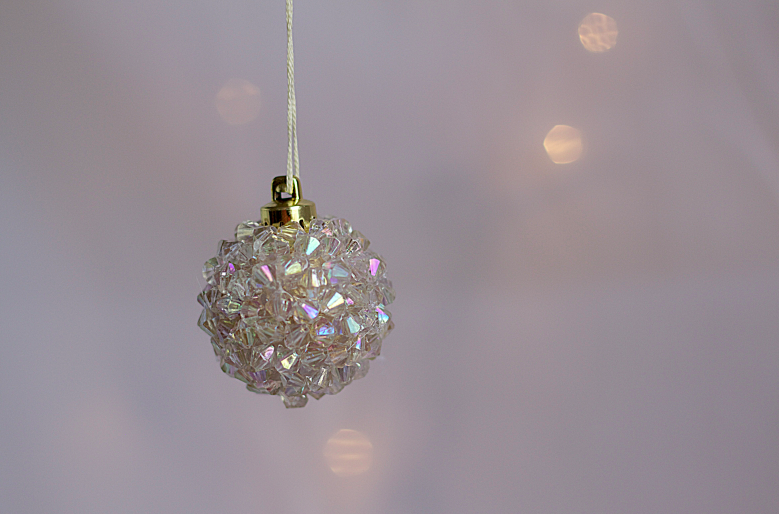 I love how the light hits these little ornaments. They seem to change color at just about every angle! 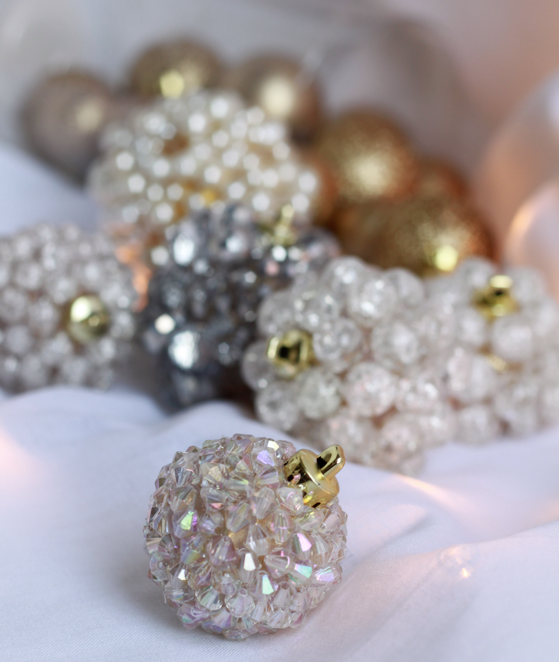 They will be a lovely addition to my Christmas tree this year, and may even be the perfect gift for my friends and family! Shhh... don't tell.